Despite the fierce winds and horrendous floods that ravaged the south-west at the start of the year, the daffodils and primroses, always early in this milder climate, were popping up on schedule in February like symbols of hope. In a county so reliant on tourism, communities pulled out the stops to get things moving again. No time was lost in mopping up, cleaning beaches and fixing damaged railway lines. Cornwall was open for business. The stunning unspoilt coastline is just one of many reasons why visitors travel considerable distances to return to this region year after year. Tiny rocky coves, vast sandy beaches, big breakers and gently rippling pools await you. Whether you’re a sailor, surfer or sunbather, a family in need of a breath of rejuvenating sea air, a rambler or serious hill walker, there’s something for everyone here. And south-east Cornwall, not as well known as other parts of the county, offers so much to visitors looking to get away from it all. Right in the south-eastern corner, just over the border from Devon, lies the Rame Peninsula, an Area of Outstanding Natural Beauty. Here you will find tidal creeks, lush pasture, stunning beaches like Whitsand Bay, and traditional villages such as Kingsand and Cawsand that are straight out of Enid Blyton. Relive your childhood fascination with rockpools and take the kids and their nets to nearby Portwrinkle beach. 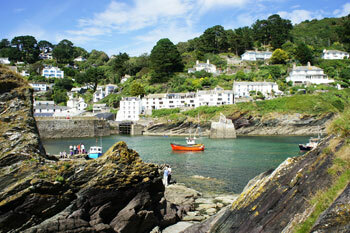 Or head a little further west along the coast to the bustling fishing town of Looe. Grab a proper Cornish pasty or locally produced ice-cream and take in the comings and goings from the quayside. The more energetic might want to pull on their walking boots and hike along the South West Coast Path to Polperro, a quaint seaside village brimming with smugglers’ tales. If you’re really into walking, look out for the South East Cornwall Walking Festival in September. While you’ve got your boots on, consider a trek along some of the 27-mile Saints’ Way, the ancient pilgrim route. It starts in Padstow in the north of Cornwall, but you can always pick it up as it wends its well signposted way south, perhaps near the ancient stannary (tin mine) town of Lostwithiel, before it drops down to its finish in picturesque Fowey. Novelist Daphne du Maurier was resident in this harbour town and she’s celebrated at the town’s Literary Centre. It’s situated next door to the historic Fowey Parish Church (St Fimbarrus), which is usually open to visitors and will also give you a warm welcome on a Sunday. If you can tear yourself away from all these coastal treats, it’s worth travelling a few miles inland to mid Cornwall and Clay Country and in particular the Wheal Martyn Museum and Country Park near St Austell. It’s the UK’s only china clay museum and a Cornish World Heritage Site. Not far from here, situated in a crater the size of 30 football pitches, is the Eden Project, well known the world over for its distinctive tropical biomes. Discover steamy jungles, garden displays, sculpture, canopy walks and lots of activities for all the family. Garden lovers will enjoy the magical Lost Gardens of Heligan, and close to Bodmin is the National Trust owned Lanhydrock Estate with its Victorian country house and attractive gardens. 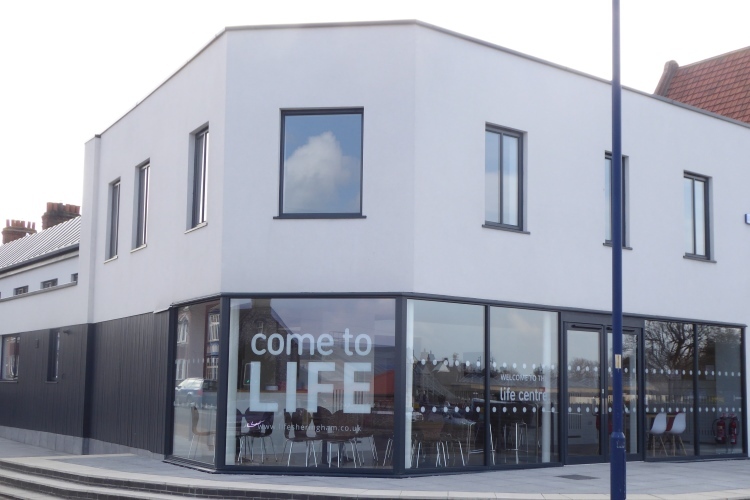 You can explore the area on foot or if you’re feeling more energetic, hire a bike from the newly opened cycling hub and follow one of the trails. You can’t come to Cornwall without indulging in a cream tea and there are many fabulous places to sit and enjoy a scone or two. And if you do go overboard on the clotted cream, be assured: rain or shine, there is no shortage of ways to work off those extra calories in this beautiful corner of the county. To find out more about what to see and where to stay all over Cornwall, go to the excellent Visit Cornwall website at www.visitcornwall.com or call 01872 322900.